Last week I shared my RV remodeling plan with you in my Facebook live video and I promised to share my big RV makeover reveal with you. I can’t wait to show you how our RV makeover turned out!!! It’s finally time to lift the curtain and show you our RV makeover and I’ll also tell you exactly how we did it so you can do it too! I’m not really sure who is behind the designs that you see in every RV across the country, but I know one thing, they need help! The dark, drab, cave-like feel that is overwhelmed in browns and outdated patterns just has TO GO! 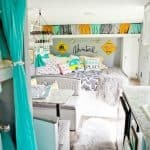 I couldn’t wait to do a RV makeover on our beloved camper and I am over the moon with the final results! 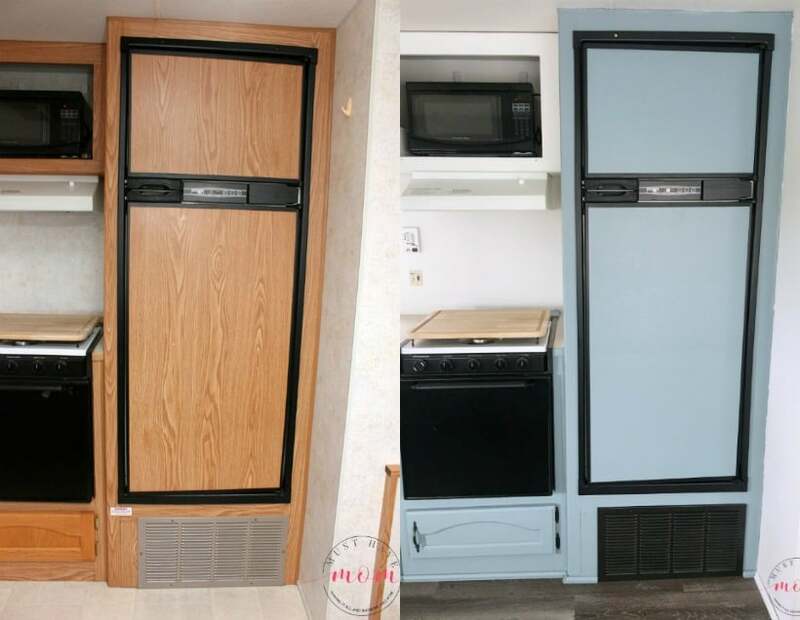 Before we decided to dive into RV remodeling, I did a LOT of research into painting RV walls, painting cabinets and even painting the faux wood cabinets in our camper. 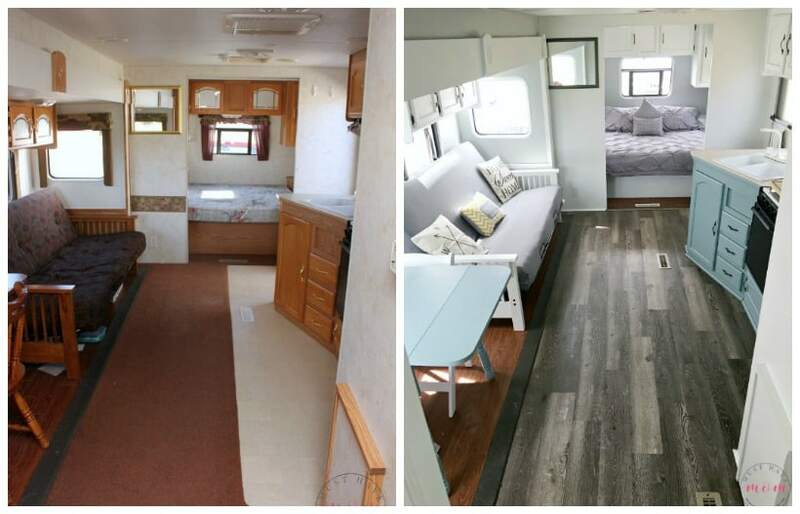 I discovered a product called Beyond Paint and it seemed to fit all of my needs for our RV makeover. As I shared with you in my Facebook live video (below), Beyond Paint will adhere to just about any surface, doesn’t require any sanding, stripping or sealing and it comes in a variety of colors. I was SO excited to try it out and really see how it worked and see if it lived up to all the hype. I’m super pleased to announce that Beyond Paint was extremely easy to use, required no prep (other than making sure the surface was clean), and turned out absolutely beautiful when we were finished. 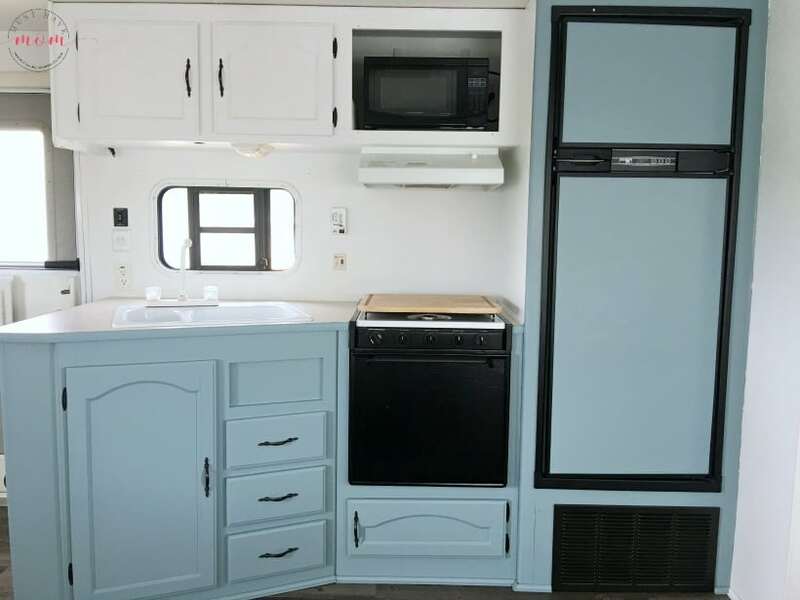 I highly recommend using Beyond Paint for your RV remodeling plans. 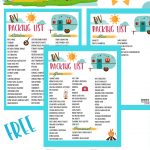 You can use it on the RV wallpaper, cabinets, furniture and more. We used it for all of our painting in the RV interior. Let’s start out by talking about what prep work needs to be done before you start your RV makeover. First you’ll want to use a cleaner (Beyond Paint suggests Simple Green or a vinegar/water solution) that will de-grease your surfaces and clean all the built up dirt off of them. Stay away from anything that will leave behind a waxy residue (like oil soap or polish). After you thoroughly clean all the surfaces that you plan to paint, you’ll need to remove any wallpaper borders that you aren’t keeping. Instructions on how to remove RV wallpaper border. ONLY remove the wallpaper borders and DO NOT attempt to remove the wallpaper from the walls themselves. The wallpaper will be glued on to plywood-type material that makes up your walls. You should not remove it!! You should instead paint over it with Beyond Paint. Wash the walls as well if you plan on painting them. Next, you need to remove the RV window coverings so that you can paint behind them. Instructions to remove RV window coverings. I hated the ugly fabric on our RV window valances so I opted to leave them off entirely. If you want to you can recover the RV window valances in a more modern fabric. After you’ve done these steps then remove the cabinet doors and hardware so that you can paint them. I recommend painting the cabinet doors in the garage so they aren’t in your way. You can also use Beyond Paint to paint your furniture so wash any furniture you plan on painting. 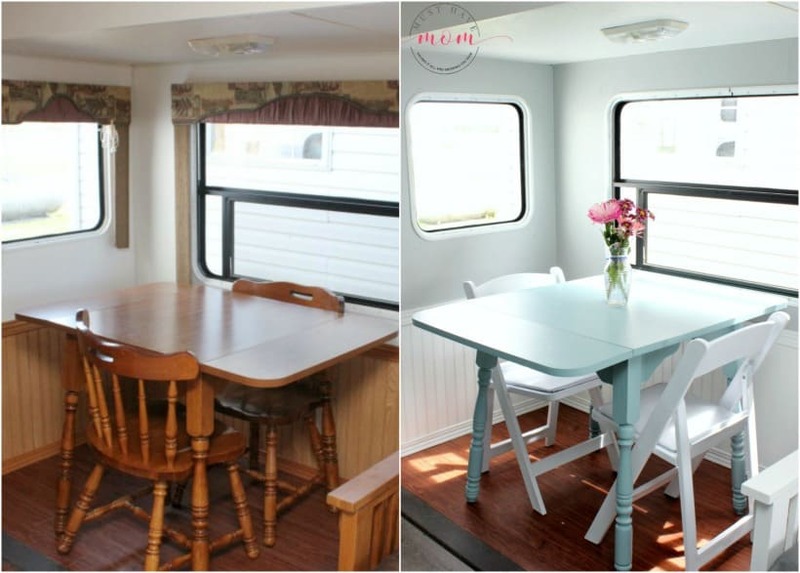 I painted the outdated wood dining room table and wood futon in our RV. 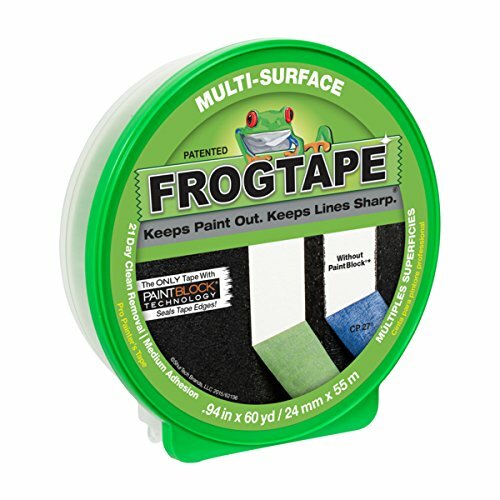 Finally, tape around any edges that you need to. We taped off the floors, windows, etc. Use a quality painter’s tape and not masking tape. Now you are ready to start painting! For your painting project you will need a small roller, brush, paint tray and Beyond Paint. 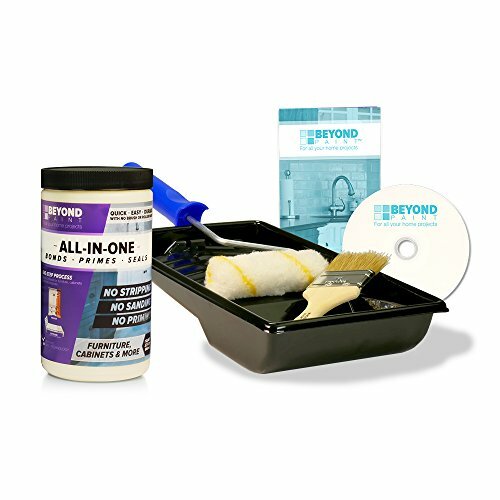 You can get the Beyond Paint makeover kit and it includes all of the painting tools in it, as well as a quart of paint. You can pick whichever color you like for your kit. The kit also comes with instructions and a DVD. 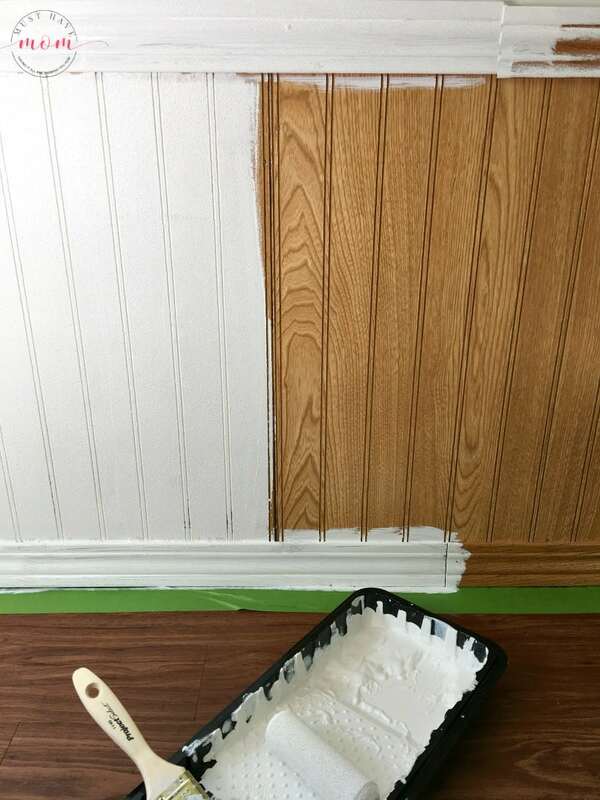 Beyond Paint worked perfectly on the wainscoting in our camper’s living room and only required two coats (no need to prime!). It even covered the cabinet door that had a glass inlay. After painting it with Bright White, you couldn’t even tell it had glass in it. I painted right over the glass and it covered it perfectly. I suggest doing fairly thick coats so you get the best coverage. In most cases we only needed 2 coats of paint. Allow 2 hours between coats for them to dry. The only time we needed 3 coats was when we used Bright White on dark wood. 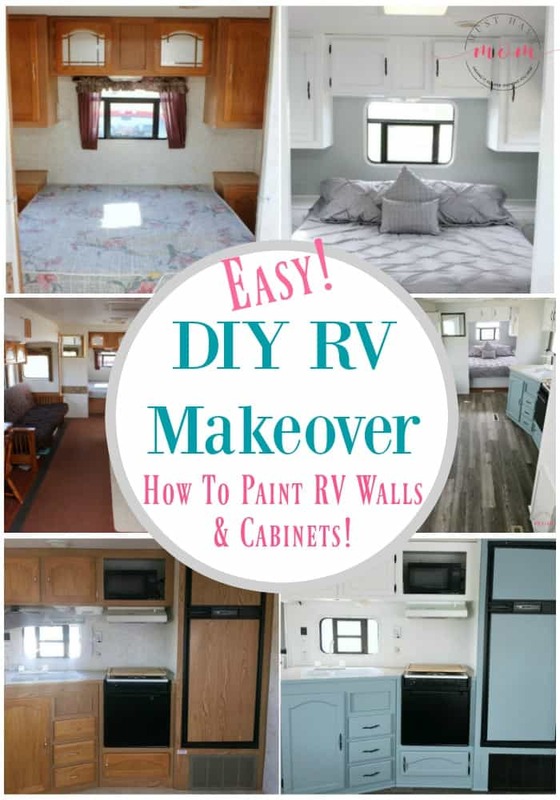 For my RV makeover I used three different colors of Beyond Paint. I used Bright White, Soft Gray and Nantucket. The final look turned out exactly as I envisioned it!! In our master bedroom, we removed the wallpaper border and RV window treatments. We then painted the walls Soft Gray and the cabinets Bright White. The final look was stunning! By simply painting the room it created an entirely different look. I never cease to be amazed at the dramatic results that a simple coat of paint can deliver! Isn’t it inviting? 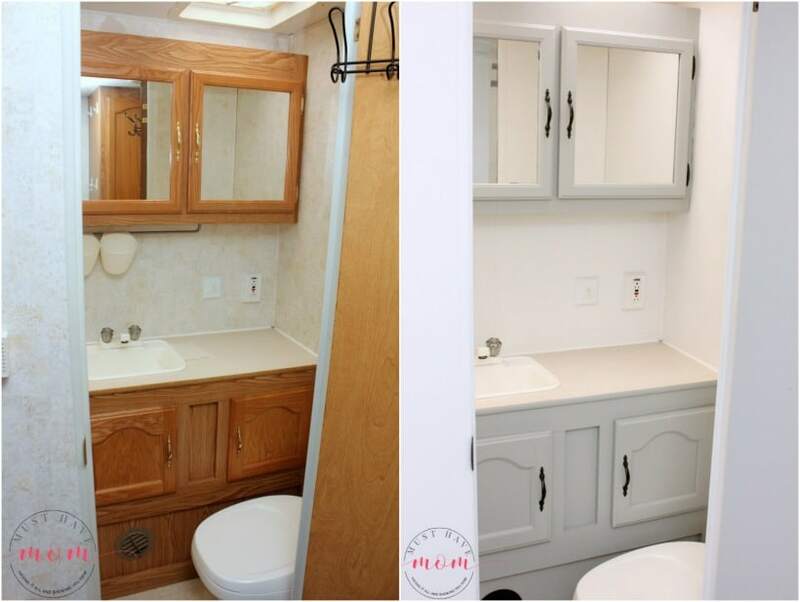 The end result of this easy RV remodeling project was a sanctuary where I can relax and feel tranquil. I love it! 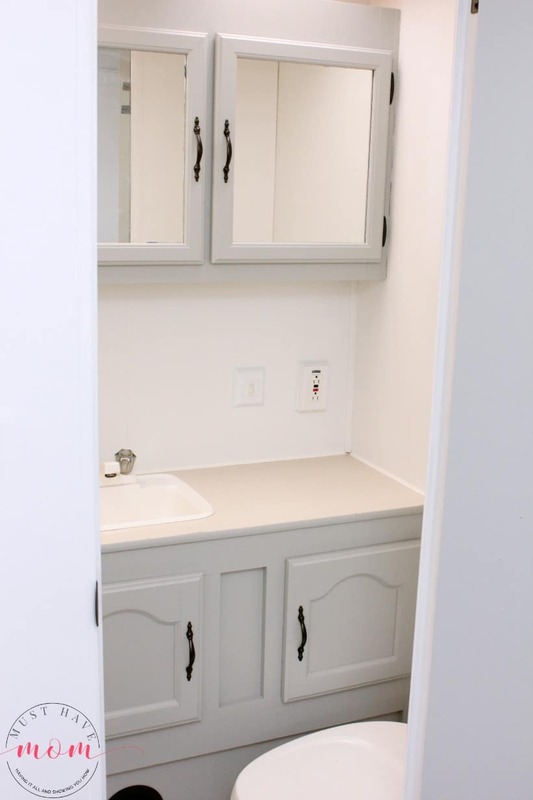 In our RV bathroom, we painted the walls Bright White and the cabinets Soft Gray. Can you believe the difference painting over that wallpaper makes?! I also took the woodsy-feeling futon and painted the wood white and added a gray slipcover over the outdoor fabric. I also added a few pillow covers over my old throw pillows to give them new life. For under $40 I was able to transform the futon into a modern piece of furniture! 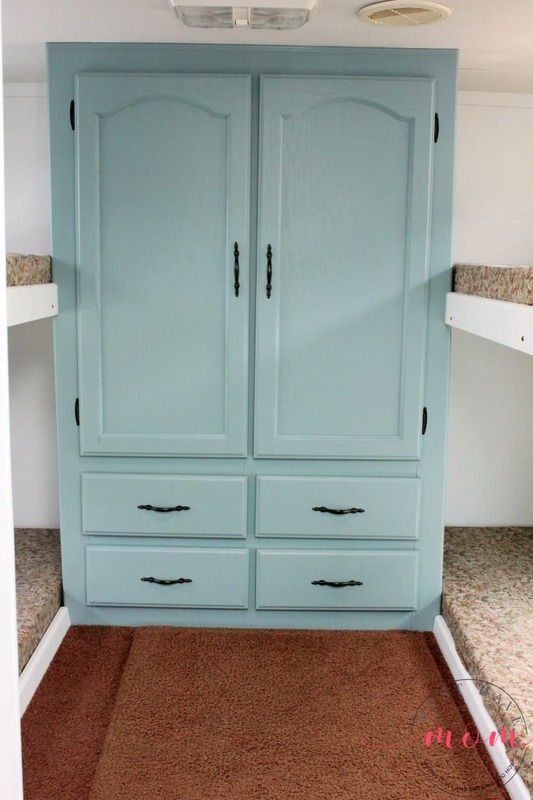 In the bunk area of our camper, we painted the walls and trim white and painted the fake wood cabinet Nantucket. The end result was a showpiece that looked worthy of a high-end home. I love how beautiful the cabinet turned out. We painted all of our outdated gold hardware with an oil rubbed bronze spray paint. When that combined with the Nantucket, it really delivers a rich look. In our kitchen we opted to do two tone cabinets in Nantucket and Bright White. I love the end result! Combined with the new laminate flooring we installed, it looks amazing and really pops! It went from a dark-feeling cave, to a bright and airy kitchen. We removed all of the cabinet doors and drawers to paint them. I LOVE the color! Don’t be afraid to experiment with new trends and try out the two-tone cabinet colors! They are really on trend and look beautiful. We even painted the RV fridge which had a fake-wood sticker panel on the front of it. We taped off the black plastic and painted over the wood with Nantucket. I love how it turned out! In our camper’s dining area we painted our old wood table in Nantucket and did the walls in Soft Gray with Bright White wainscoting. It really transformed the space and saved us a ton of money by simply updating our existing furniture. 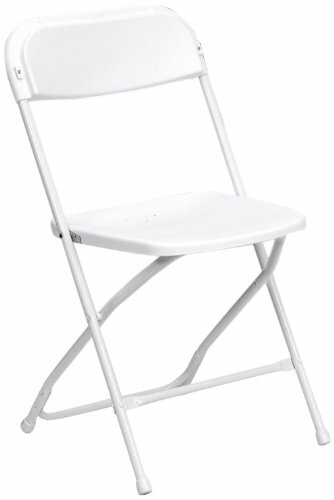 We opted to get rid of the old chairs as they were too big and bulky, and we replaced them with lightweight white folding chairs. Our camper now looks like it is out of a magazine and it feels so bright and airy. It lets in a lot more natural light now and with the light color palette, it feels much bigger. This RV remodeling project took my husband and I (working together) just 2 weekends to complete! Since an RV is a small space, it is a really doable project in a couple weekends time! Are you ready to update your RV or maybe you want to paint your kitchen or furniture in your home? You can find Beyond Paint on their site or on Amazon, Home Depot (order and pick up in store too!) 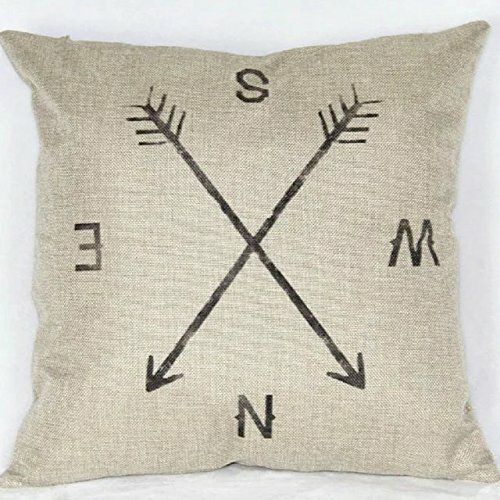 or on Walmart.com! I can’t say enough good things about it! 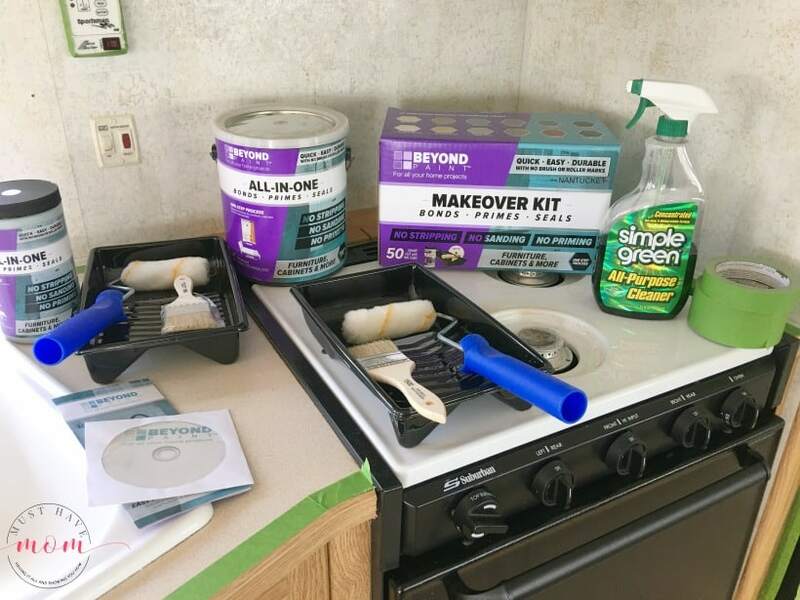 Here are the supplies we used for our RV makeover! You can order them now and be ready to start on your own camper makeover project! Did you enjoy this post? We love it when you share on social media using the sharing buttons above this post! Thank you!! Thank you so much! We used a click together laminate flooring. We made sure it was a thin laminate so the slide out could easily come in. When we put the slide out in we put down an outdoor rug with a rubber backing so that the slide out doesn’t scratch the flooring. They make slide slippers to prevent this also, but they are a lot more expensive and the rug works better! What brand of flooring did you use? Where did you get your comforter set? What material did you use on the floor? We used click together vinyl planks by Shaw. Hi! How is the paint holding up? I have a dumb question. How do you keep holes for hardware open when painting? I plan to paint the old hardware and reinstall it after i paint the caninets. as you described in your article. But do i need tocover the holes with tape before painting so the holes dont get ovvluded with paint? Hi Marie! Not a dumb question at all. You can just paint right over them and then when you put the hardware back on you’ll use a drill to screw the screws back in place and it will go through any paint that is covering the holes. Hope that helps clarify for you! Hi Lee! I’m not sure about that but I do know I have had readers in Canada find Beyond Paint in Canada 🙂 Hope that helps! What year make and model is your RV? We are looking for one just like t for our family of 5 and that bunk house is ideal. Your flip is amazing! Our RV is a 2002 Sportsman KZ 32′ bumper tow. It works great for our family of 6! We love the set up. Thanks for stopping by to check out my makeover! Hi! What kind of vehicle do you use to tow that size camper? Looks beautiful!! How is the paint holding up? When i read reviews for the paint on amazon. There were a lot of complaints. So far, so good. It has only been a week or so. I’ll try to update again in a month or so. Looks great! Has the paint gotten knicked and chipped a lot? I don’t want to spend all the time and money doing it if it chips fast. I have three small children and a big dog so the trailer gets lots of tough love! Thx! Hi Amber! We have four kids and two dogs and a year later this paint was still looking great! Just make sure you allow it 30 days to cure and don’t scratch anything sharp on it when it’s curing. The only spots that scraped off were where I had metal rubbing on the paint before it cured. How is the paint holding up at this point? Sarah, you mentioned not. To remove the wall paper. Unfortunately I had already begun the long HARD process of peeling the paper were ever it was coming up. I started this prior to reading your post 🙁 I have large areas throught that have not wall paper and the sticky residue and other ears the paper is still down. What do you suggest I do from here? Help from someone who has done it please…. Sorry I missed your comment Lindsey. I hope you’ve resolved this! Have you taken off the wallpaper down to the wood that is behind it? Wow that is beautiful! Friends of mine are looking into getting a used RV and I think they would be more apt to getting one if they know they can do this kind of snake over. Wow! I absolutely love your remodel. The clean lines and light colors appear to open up the space so much. RV manufacturers/designers need to take a hint from you. 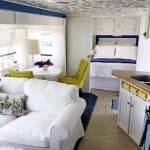 I’d feel much more comfortable staying in an RV space like this much more than the brown, dark and sad original look. You did such an amazing job! I love the color palette you chose. So much more inviting than the brown from before. WOW! This is one of my absolute favorite RV renovations. My bf and I are going to buy one soon and I’m already thinking of how I want to renovate it. I completely agree with you. Whoever designs RVs needs major help! This is crazy awesome. WOW. I am in love with this camper and it is much better than brand new in everyway. So cozy and so bright and open now. fresh and wonderful! So happy to find your post on Pinterest today and of course I had to share it! 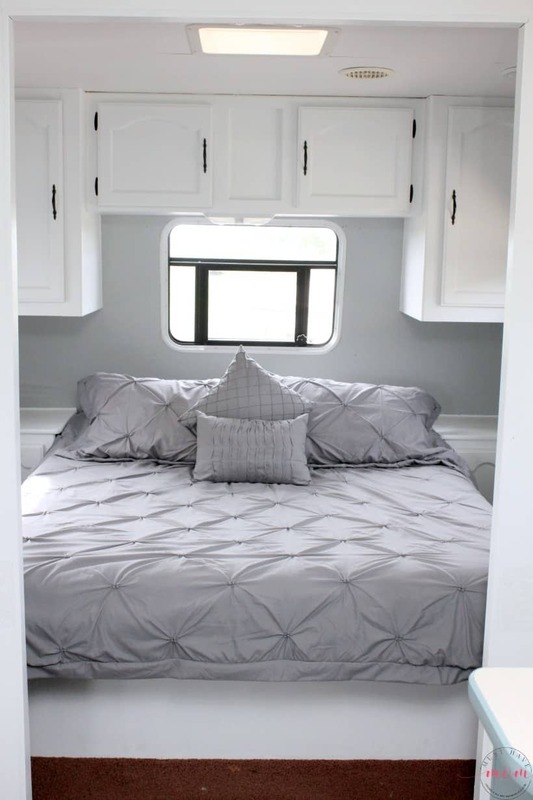 This RV makeover looks terrific! It’s amazing how changing the colors makes the space look so much brighter and more inviting. There must have been a law passed somewhere that ALL RV and camper interiors must be brown and beige. Amazing job! Pinned for ideas when we get our RV. I purposely want to get one to remodel. Thanks for the post. Saw the link at Home Matters linky. 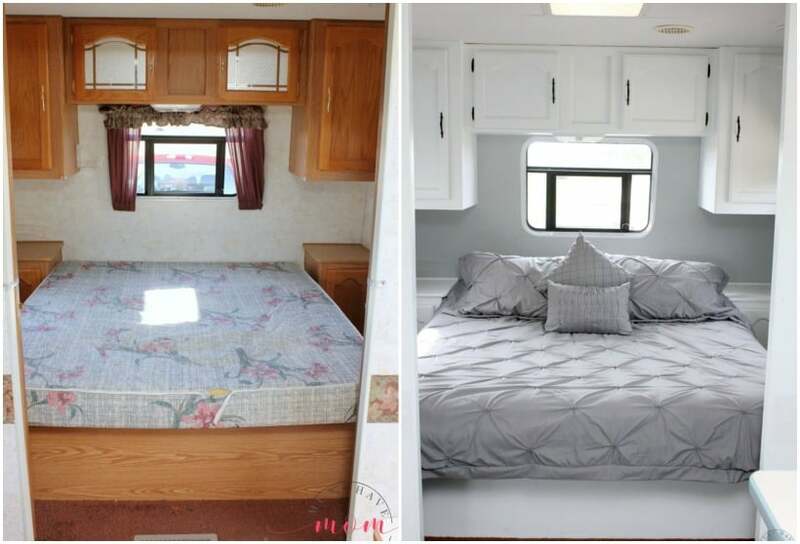 Your RV makeover is an amazing transformation. We have been shopping for a camper trailer and looked at so many old ones that looked a lot like your RV Before pictures. I never would have imagined that they could be made to look so much better and up to date! Your ideas are so helpful. I pinned this post so it can inspire others, too! How did you remove the carpet that goes a little under the slide out? We just put the slide out all the way out and ripped up the carpet. It came out easily. Did you put a sealer over yours? I know it’s supposed to seal itself, but Seems the amazon reviews for this product say it’s chalky and those that “love it” because it lasted used a sealer. Also did it self level, any advice on that, I’m getting ready to try it this weekend and worry about the brush marks. I did not use any sealer. Beyond Paint includes the sealer in the product so there is no need for a separate sealer. Love the remodel! How does it look over the wallpaper borders? Mine has tape on the walls where the boards meet and this has my husband not wanting to paint because he thinks it will look bad. Was yours like tape or actual trim? It was trim but it was glued on. We used Goo Gone Gel, allow it to sit for a bit and scrub it off with a sponge or rag. Repeat this process until all the adhesive is gone. You can also remove the tape and use sandpaper to lightly remove any adhesive. 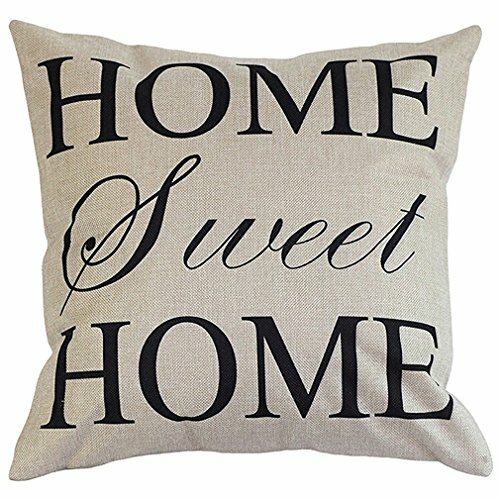 Our team at Beyond Paint loves coming back to look at this post! The transformation is incredible!!! What a wonderful project Sarah! Thanks for loving our products! Thanks so much! I can’t wait to tackle more projects with Beyond Paint! How much of each paint did you buy? Did you buy gallons of each? I bought one kit that came with one color than a gallon of each. Looks amazing!! How much did the whole project cost? You said to paint over the wallpaper with Beyond Paint. Our wallpaper is peeling. What do you suggest? I would just glue down the areas that are peeling up and then paint it. That should work fine! We did the same thing in areas where it was peeling up. I am in the depths of renovating my 2006 Class A and am hoping that by painting the ceiling (to remove mold around the vent), and walls and replacing the flooring with a vinyl (looks like wood) and recovering the furniture with bright new colors would be enough. I have also removed all of the window treatments and plan to replace them with the same bright fabric as the furniture. You have not replaced your shades on any of the Windows. What about privacy? As a single woman often traveling alone, I don’t want to feel like I’m in a fish bowl, especially when I pull into a rest area for the night on my way to my destination. Any thoughts or suggestions? An amazing job by the way. Thanks so much for the hints and shopping lists. Pulling my carpet out from under the edge of the slide out has been a challenge, as has the removal of the hundreds of staples throughout the entire floor space. But I’m getting there. I also intend to put down carpet padding under the vinyl flooring to assist in dampening road sounds. And the floor of the cockpit area also will have additional sound and heat abating foil backed covering. My V-10 engine is VERY loud. Congrats on your remodel project! It sounds like you’re making great progress. Pulling all those staples is a lot of work. My husband was fast at it but I wouldn’t be! For the photos I left the blinds off to let in maximum light for photos. Afterwards I put up just the blinds and no valance. This way I get the light flowing in when I want it and complete privacy when I need it. I found the valance blocked a TON of light so I didn’t want to put those back up. You could just put up blinds if you wanted and you’d have complete privacy. I’d love to see your after photos when you finish! Share them on my Facebook page 😄 Good luck with the rest of your remodel! Can you just paint over mold and it will not come thru or grow? No, you need to take care of the mold first or it will get worse. That is a health concern as well so be sure to bleach the wall and clean up the mold first. You may need to check that it doesn’t have underlying water damage issues. Do you have a step by step post about how you did your flooring? We just bought a 2005 Sprinter & that’s the first thing on the list to do! Actually I’m afraid of doing all the painting first (which is so much less intimidating!) because I fear the removal of the carpet and old vinyl might ding up my walls/cabinets. Your project came our beautifully! How is the paint holding up?? Hi Amy, it hasn’t been too long since we painted it, however we have been heavily using it and so far it has held up great. The table (which I sealed with Beyond Paint sealer) is doing great with multiple washings a day. The cabinets also still look amazing. I think the biggest thing is to try and give it that first 30 days of no use/gentle use to cure. We are loving it! Menards website and there is a huge list of Shaw laminate flooring. I actually had to go back through my photos and see if I could find one with the box. I think it was actually Urban Cafe vinyl plank flooring in espresso oak. I used the Shaw in my bathroom makeover 🙂 But we really loved the Shaw flooring in our bathroom too! Either one would be good. I LOVE your makeover and my kit came in the mail today!! NOWHERE in any of the material I’ve read or googled can I find out how to clean my brush. Is it soap and water clean up or a onemtime use thing? Thanks!! Oops! never mind, I saw soap & water clean up in the fine print! Sorry I missed your question Deb! Glad you were able to find the answer 🙂 When we are in between coats we just put the brush or roller in a plastic zip top baggie until we are ready to use again. I wash them once we are totally done (soap and water). Good luck with your project!! HI Sarah! Your remodel is GORGEOUS!! I would love to know if the beyond paint is holding up now, a year later? Thanks! Hi, I just bought a camper and it is identical to yours. Did you eventually put blinds up or some form of curtains? i would love to see what you did. This is exactly what I have been looking to do! Thank you. Your transformation is amazing! Out of curiosity, why did you choose to not do the flooring of the pop out section? I was wondering that also. Doesn’t look quite finished. Did you paint the cabinet hinges? We have a 2004 Georgie Boy motorhome, and the gold trim is everywhere! I don’t really want the expense of replacing every hinge and handle, but I am curious as to how they would hold up when painted. Your makeover is amazing! I just got home from tearing out the carpet, and there was your post. Inspirational! What a great job! Well done! We are in the process of redoing out 28’ Mako fifth wheel. We had a leak problem in the upper bedroom, so my hubby redid 2 walls from studs out..what a job! We also put in new flooring in the upper area, bathroom, hall, steps and in the bunk room. Vinyl will be so much easier to clean. We are going to replace the slide with new carpet in spring…taking the easy way out on that job! The rest of the click flooring was in great shape & I loved the color, so it’s staying. I have painted all the cupboards & panels of fridge, but still have a few more walls to do. It’s looking wonderful, and as you said, it’s amazing what a huge difference a can of paint can make! 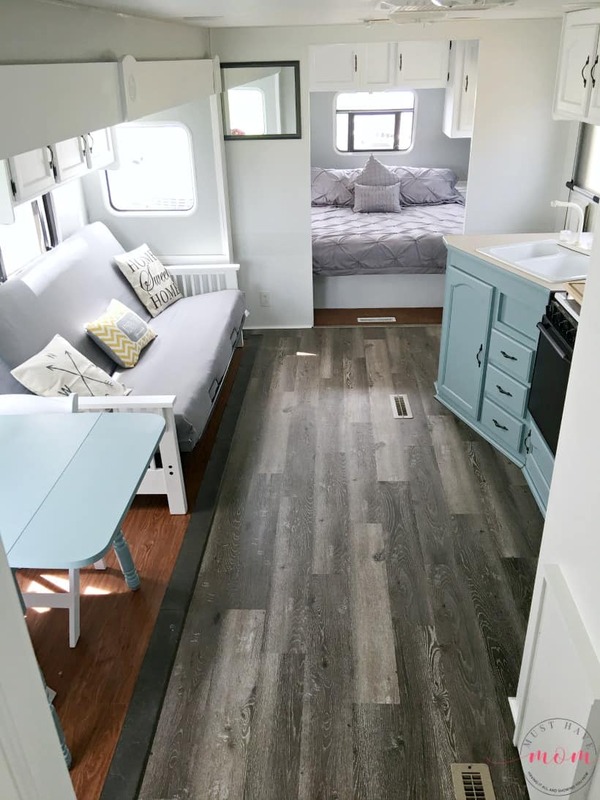 RV manufacturers really should pay attention to what the public wants, and if they looked at Pinterest at all, they would certainly find out that people want bright spaces to spend their vacations in, not doom & gloom! Again, a job well done! I’d love to get our carpet with slide outs changed. It’s not quiet shag, but nearly…plus it’s a dark olive green. HOW did you get yours all out and redone??? We removed the carpet and installed vinyl click together plank flooring. We love it! 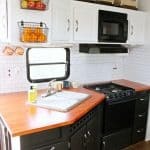 I came across your blog a few weeks ago and started my own RV remodel today! I’ve removed all the padded valences and the ugly boarders. What did you use to patch the holes before painting the walls? I’ll be ordering the Beyond Paint supplies soon. 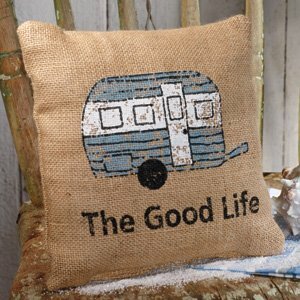 I am excited to revamp my entire RV! Sorry I missed your question Donna! I hope you got it figured out! I would recommend using paintable caulk. it started peeling within months of it being painted, especially in the kitchen close to the stove. Over a year later and it’s still looking beautiful and holding up great! Hello! Thank you 🙂 Yes, we put up simple white blinds that mounted over the windows and we left the valances off completely. They looked clean and minimalist while providing privacy. You did an amazing job. 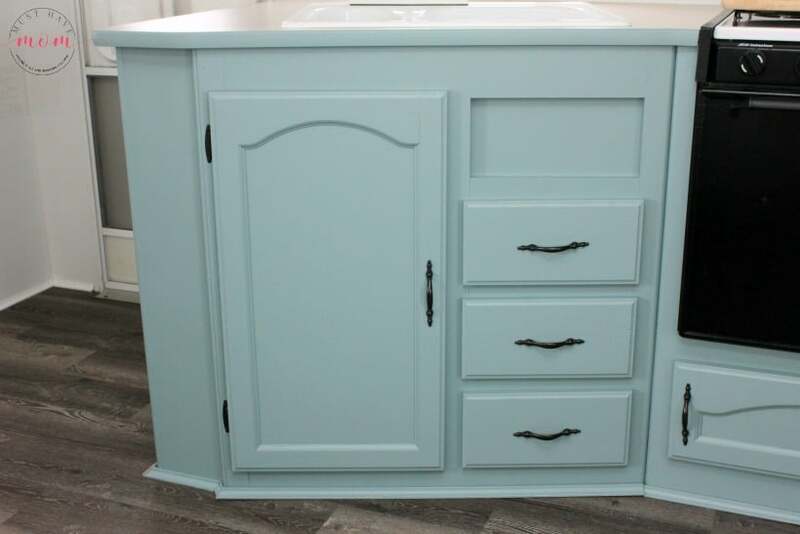 Did you compare this paint to the chalk paint? Thank you! I have not used chalk paint, but I did consider it. I liked that with the Beyond Paint I didn’t have to put wax or anything over the top. We just bought a vintage 1978 Chinook International Constellation. According to what we are finding it is a really rare bird. Can’t seem to find anyone that knows much about it. 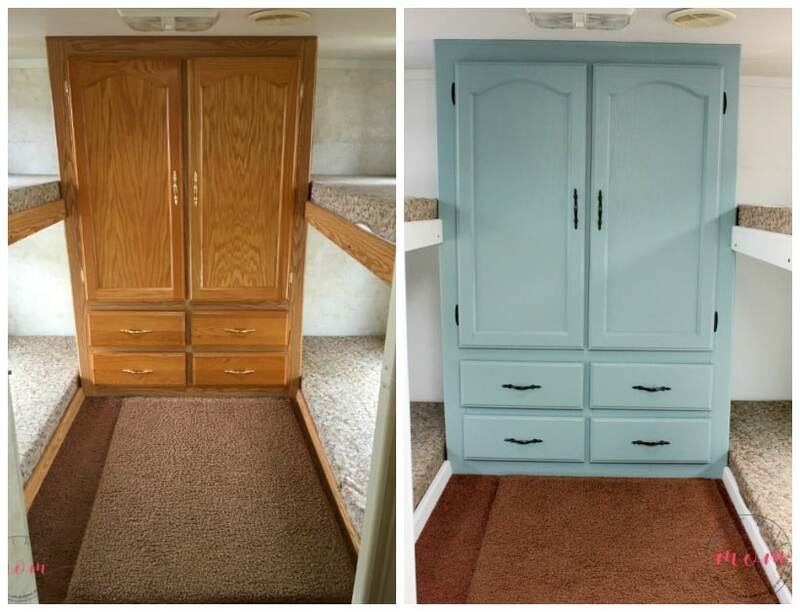 Your RV Renovation was amazingly gorgeous. My concern is keeping it original. Does painting the stuff detract from it’s originality. The upholstery has got to go for sure…yuk. Also this particular model the cabinets are solid wood, just too dark for my taste. When you pulled the carpet up, did you put anything on the actual wood flooring before applying the vinyl clip strips? Thank you in advance! Hi Sandra! How exciting!! I bet you are itching to get started. Yes, I can understand the desire to keep it original. For us with our camper we weren’t looking to keep anything original so that didn’t come into play. I loved making it light and bright! It seemed so much bigger and happier. I suppose painting it could detract from the originality but I’d do what you love best! When we pulled up the carpet we didn’t have to apply anything before we did the floating vinyl flooring. It was click together flooring so no clip strips or anything! Good luck with your project!! This looks amazing!!! I’m curious what you did to the floor in the bunk area. Did you build the floor up to add more storage? Hi Rachael! Actually, the floor was that way originally. Underneath is a storage area that can be accessed from inside or outside the camper. How much beyo d paint did it take to complete your project? I believe we used a gallon of white, a gallon of gray and a quart of Nantucket. We had a fire – our RV battery exploded & while it was charging & our camper end-cap is charred. My camper smelt like burnt plastic. We’re in the process of replacing the mattress, etc., & have cleaned, cleaned, cleaned, but there is still a faint hint of a plastic-like smell. I’m thinking about painting some areas to see if that will help get rid of it. Does this product have a strong chemical/paintlike odor? Oh how awful! I’m so sorry to hear about your RV. What a mess to deal with. I don’t recall it having a strong odor. I was in the camper painting for hours on end and didn’t get a headache or feel like it smelled strongly. You may want to try some kind of primer that is made to cover odors? I’m not sure if that would help more than just painting in itself would. Best of luck in your renovations! Did you secure the futon and table to the floor somehow, or does is move around as you travel? No, we did not find it necessary to bolt the furniture to the floor. It slid minimally while traveling, but not enough to require bolting to the floor. I imagine every piece of furniture/setup will be different though. What paint do you use in the bathroom, like for in the shower?? We are concerned about the water hitting the walls, but then again it is the same wallpaper as in the rest of the trailer so we aren’t sure what to use. I used this paint everywhere, however, I did not paint our bath tub or shower surround. I would use marine grade paint if you are going to paint the surround. 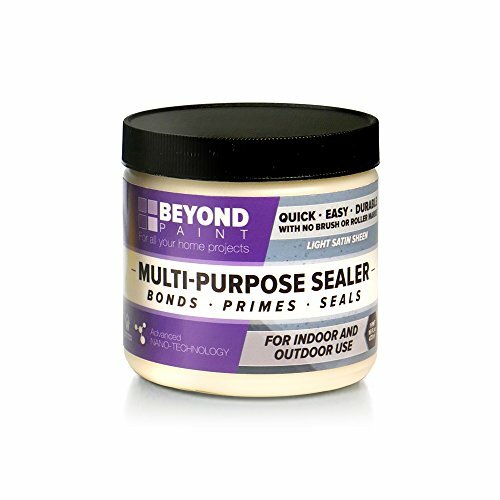 In your supply list you list Beyond paint multi purpose sealer. I didn’t see this mentioned in your how to paint the interior of an rv. Did you need to seal your cabinets? I’m sorry for the confusion. The sealer is only if you do a tabletop like my table I painted. I sealed the top of it and it held up beautifully to repeated wiping. The cabinets don’t need to be sealed. Hello and thank you! We actually did not have to remove the couch. The futon was in it when we bought it and we simply added a new cover to it and painted it. 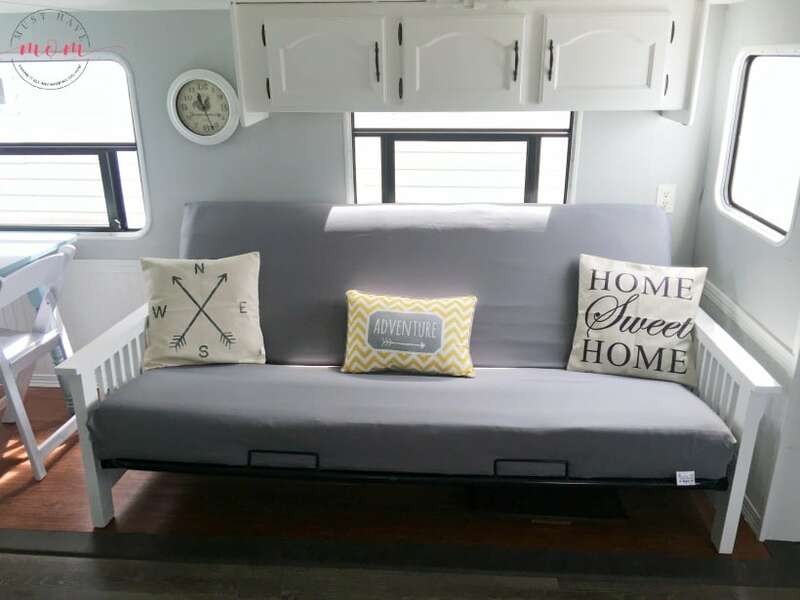 It is possible to pull the couch out of your camper however you should make sure there isn’t a storage compartment or anything that the couch is built around. Many people have removed them only to find a box underneath that sticks up and makes it impossible to put in a regular couch. If you don’t have that to worry about then go for it! Love this! I plan to use a similar color scheme. How much paint of each color did you need to paint the cabinets and walls? Thank you! Yes, once it has properly cured it washes up really well. Just soap and water on a rag. It has held up well. It’s imperative to let it cure properly though. For the flooring, we installed it around the cabinets. Just removed the carpet and laid it over the linoleum and plywood. Good luck with your makeover! Hi Sarah! Thank you so much for the step-by-step. So thorough and I love your color scheme! My question is actually about your futon… do you have to slide it away from the wall in order to make it into the bed? 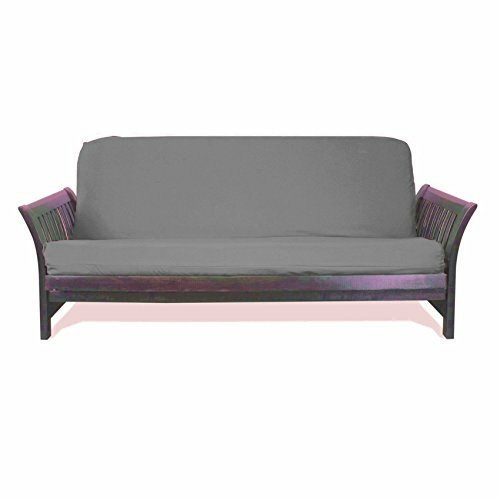 Thinking about a futon for our space, but I want to be able secure the couch legs in place. Thanks!! Hello and thank you! Yes, we slid it out to make into a bed but we did not secure the legs. We found it didn’t move much during transit and wouldn’t go beyond the lip of the slide out flooring. Hope that helps! Great transformation! Can you tell me what the length of this trailer is? Hello and thank you! This is on a 32′ travel trailer. How much paint did you use? Approximately a gallon of white, gallon of gray and a quart of nantucket for a 32′ travel trailer. Did you paint over the mirror/glass of the cabinets? I love how they turned out! I did! It worked great and you can’t even tell they used to be glass! 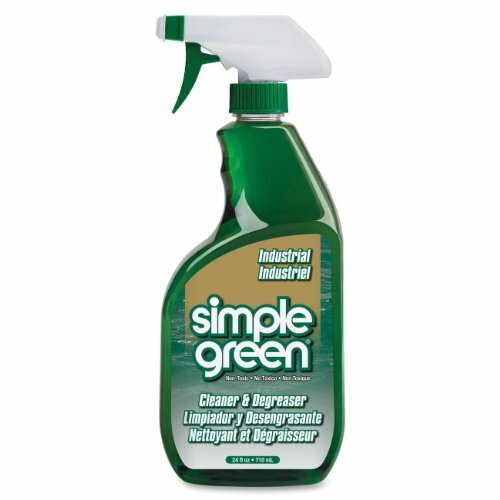 I would like to know if you had to rinse the walls after using simple green? No, I did not rinse them. I sprayed it on and wiped clean with a paper towel. Then allow to dry completely. Love Love Love this! I have my husband busy painting the cabinets with bright white and now I’m trying to pick a color for the bottom ones! Yes I am a copy cat LOL! We are doing the walls as well! I want a gray for the walls, can you suggest a light, medium or dark gray? Hi Gina! Sorry I missed your comment. I was away from the computer doing another makeover 🙂 I would go with a light gray to keep it bright! Hope your makeover is going well! Absolutely in love with this. We have an old Mallard and the refrigerator seals are a very ugly gray/brown. Have you stumbled across anything we could use to paint them? Also, do you think it is possible to paint the countertops with beyond paint and then seal them like you did the table? Last question, our cabinets have a trim going around in various spots. Is it safe to paint over them with the beyond paint? I wonder if you could paint the seals with Beyond Paint? I would contact them and ask because it works so well on every surface I’ve used it on. Beyond Paint also has countertop paint kits, yes! I painted over the plastic trim with Beyond Paint as well. I hope that helps!! Question…our RV has vinyl contact paper type covering on the walls which has shrunk and come up tearing in areas. Do I need to remove this off the walls before painting? I don’t recommend removing any of it. If you have places peeling up I would glue them back down and sand any bumpy spots. Would the camper be livable while curing? Dumb question, is curing using the sealant material mentioned in your items list your used? There are no dumb questions 🙂 Curing is just allowing the paint to fully dry and harden. It may feel dry to the touch but it needs to fully dry and “cure” and become hard. You can use the camper while it is curing for the 30 days but you’ll need to be very careful not to damage the paint. The sealant was only used on the tabletop. Hope that helps! Did you paint the counter tops in the bedroom with the beyond paint? Hi. Thanks for all of your work here!! Love all the pictures!! Just curious….but did you ever need to find any stock parts for the dash area? I broke my doghouse/center glove box and can’t find any used RV parts places to respond to questions. Thanks again!! Oh what a bummer! No, we never needed stock parts. From experience, though the majority of RV parts places and dealerships are notoriously difficult to deal with and so slow to respond. It’s very frustrating. This was one of the more truly inspiring websites on RV remodelling so light and airy and lovely choice of colours!! Also, a great choice on the paint; lots of great reviews on it. I have new RV but sadly it’s still as dated as ones from 20 years ago…or more. The only good thing is that they use wood-look vinyl flooring now, so thankfully that isn’t an issue, but the sad old fake wood look of the cabinets and hardware, the dull beige walls, and tacky looking brown upholstery and valences are all still there. I have no room to work on my trailer from home it’s in storage but accessible. Thank you again. Your comments and replies to others have answered all my questions and I’ll be ready next spring to do a little makeover myself..
Oh I am so glad to hear you found my post inspiring and helpful! Good luck with your makeover!!! Looks great! Ours is almost the same layout. I’m curious, is your slide out raised or level with the floor? And what’s that you used to connect the slide out with the actual floor? Just a plastic ramp? We’re looking into redoing our floors as well. We have a raised slide out, and I’ve seen that plastic thing in a few renos but I still don’t know what it is, but I want to know if it will work and where to find it! Hello and thanks! The slide is raised higher so we used a vinyl trim piece to connect the two. It was an easy fix. You could also do a bullnose trim piece. Did you just paint over the glass on the cabinet doors? We have very similar doors and I want to figure out how to redo them. Yes, I did! It turned out great. Amazing remodel. I plan to tackle my remodel this coming Springoh. Our family has lived full time in a 1999 Sportsman 29′ bunkhouse for a few years now. 🙂 I’m tired of the oak cabinets and can’t wait to modernize it. I have read your entire post and all the comments. Did your husband do the flooring tutorial? If so, can you post the link? That’s the one thing that makes me nervous because of our slide out. Oh how exciting! It is so fun to see the transformation come together. I haven’t put together the flooring tutorial yet but I will add this to my calendar for this month! I’ve been putting it off for too long! Be sure to subscribe to my newsletter here: https://landing.mailerlite.com/webforms/landing/k8s6j1 so you get notified when future RV tutorials get posted. Thanks! Hi! 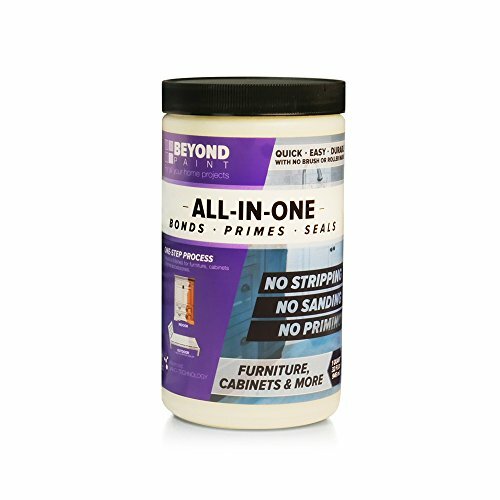 I was just wondering how everything eventually held up using the beyond paint for the walls and cabinets without sanding/priming. For instance did you experience any peeling or chipping ? 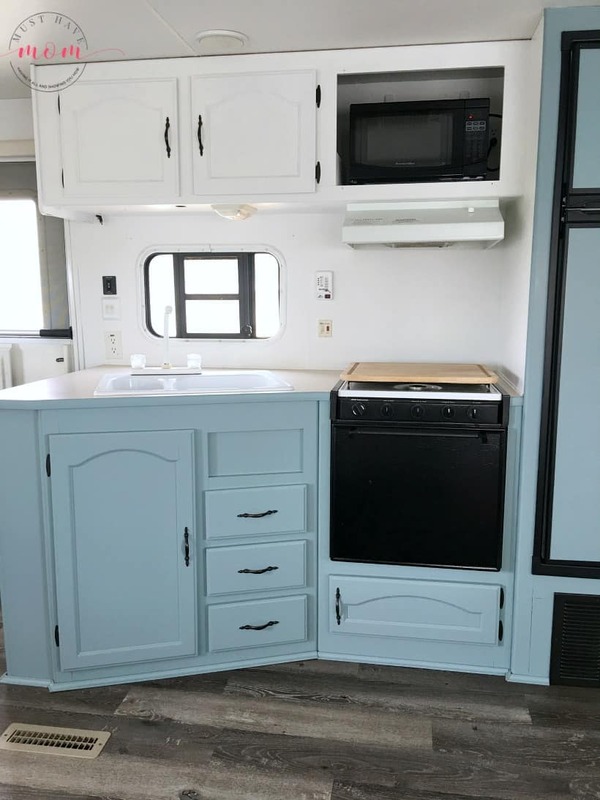 I’m remodeling my rv and and very interested in using the same paint for the walls and cabinets ! Thanks for your comment! The paint held up great! The key is really to make sure you allow it proper time to cure. As long as you do that, you will not have any issues with peeling. It’s held up great for us. Wow. This was so helpful!! Thank you so much. Now that’s been a little while, is the paint on the walls still holding up? No signs of peeling? You are very welcome! I am so glad you found it helpful 🙂 Yes, the paint held up great. No peeling! Just be sure to allow it time to cure properly. That is the key!! I really love your re-do, simple and so clean. Your explanations are great as well as where to buy eveyrhing–I am using this–we just bought a Jayco Featheright 2009 and will be updating it! Oh how exciting! Good luck on your renovations!! How long did it take you for the renovation? I don’t understand went you say “we need to sure is time to cure”. Please explain this. Thanks and congrats for you amazing job. Sure, you need to allow enough time for the paint to cure or harden. Once it is dry does not mean it has fully cured yet. Giving painted surfaces 30 days to fully cure is optimal. This allows the paint to harden so it will not be easily scratched off. I hope that helps clear things up for you! We have the exact same camper an I’m dying to do this to ours. Love it!! This looks amazing and I am thinking about doing the same in my RV. I am wondering where you used the Sealant that you listed was used in the makeover? The sealant was only used on the tabletop. Thanks!